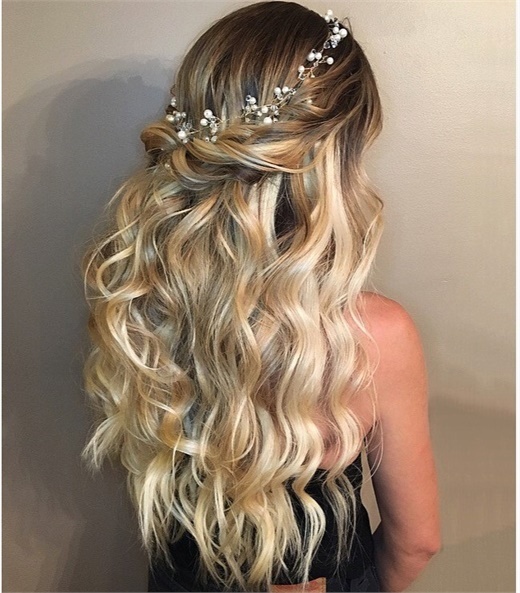 Pinterest-happy brides and stylists alike need to put Katie D'Souza (@bridalhaircouturebykatie) on their shortlist of special-occasion stylists to follow. The Canadian stylist has mastered a range of beautiful styles from tousled and half-up to classic chignons and intricate updos. Pro tip: Hashtag! And always think about the overall look of your Insta page before posting. You want more of a committed following than just a lot of likes. People are more likely to commit to following if you have a beautifully presented profile with a consistent theme and brand. My brand is versatility; I brand myself as a chameleon of hairstyling. No particular signature style. I try to master everything. I want my page to advertise that! How social media changed my life: About 70% of my current clientele found me on Instagram. I feel Instagram is the most useful tool for hair/makeup artists. It's a free online portfolio that is continuously updated and the first place a lot of brides/clients search before they even call you! I tend to focus more of my energy advertising through Insta than any other social media platform. The first time I was featured on MODERN SALON: After I posted a picture of a braided style I created for a Christmas-themed style shoot last December. I was so thrilled to be contacted and have the opportunity to not only share my style but how I created it step by step! The special-occasion style from D'Souza that MODERN featured.